To report a medical emergency, dial 911. Read more of "Why fentanyl is deadlier than heroin"
Zika virus is spread to people through mosquito bites. 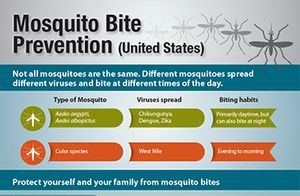 According to the Centers for Disease Control (CDC) the most common symptoms of Zika virus disease are fever, rash, joint pain, and conjunctivitis (red eyes). The illness is usually mild with symptoms lasting from several days to a week. Severe disease requiring hospitalization is uncommon. FLU season is in full force and the CDC recommends a yearly flu vaccine as the first and most important step in protecting against flu viruses. Download a copy of "The Flu: A Guide for Parents"